Dreamt of working in a luxury cruise line or a five-star hotel industry but cannot speak English well? Worry no more! 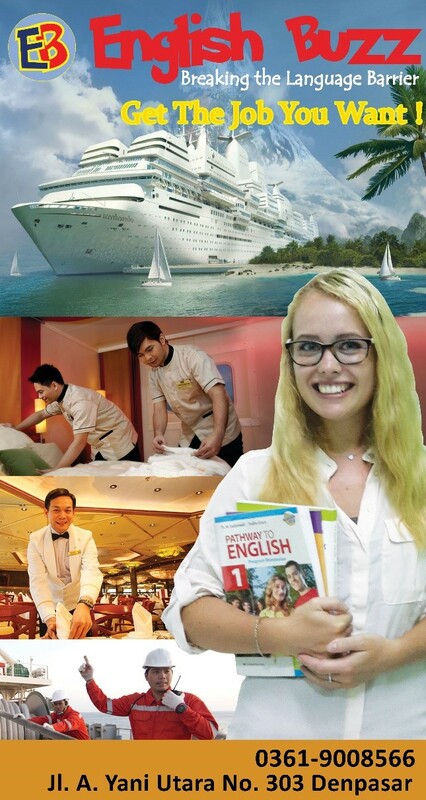 English Buzz offers a program of General English Courses for Adults to prepare them to communicate with people in their desired working environment be it in a cruise line, hotel or any hospitality/tourism industry. We aim to assist students improve their language abilities such as speaking, listening, writing as well as reading skills. We use different methods of learning to help them pass their job interview, fluently converse with customers, understand instructions, and achieve personal goals. This crash course runs in a One-Month, Two-Month, and Three-Month Program depending on the result of their Pre-assessment test. Our rates are very affordable and payable on a monthly basis. Call us now for an appointment and get that dream job you want!